Rolling Fork Mounds is an important Native American mound site as well as the location of a Civil War engagement during the Steele Bayou Expedition of 1863. 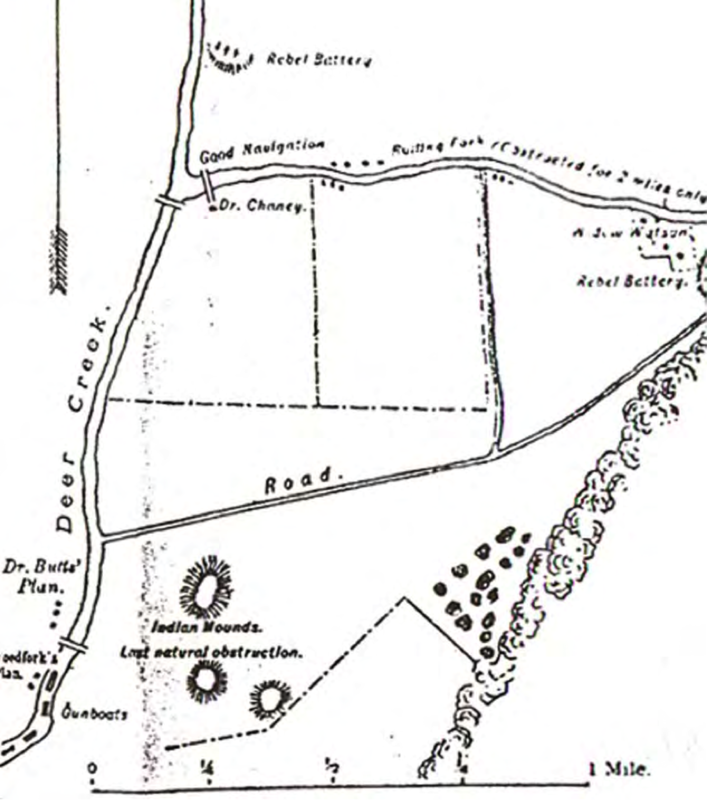 A map drawn by Rear Admiral David Porter of the Union Navy depicts details of the battleground as well as the three earthen mounds original to the site. The mounds themselves were described in 1926. At that time, Mound A was around 38 feet tall. Mound B was 20 feet tall and had a modern house on its summit. Mound C stood just under three feet tall. Since the 1920s, the mounds at Rolling Fork have undergone much change as a result of historic period modification. Mound A is now about 21 feet tall but its footprint is considerably larger than dimensions reported during the early 20th century, suggesting that fill has been removed from the top of the mound and redeposited at the base. The much steeper eastern and southern sides probably approximate the original shape of the mound. Mound A additionally has been impacted by excavation of a basement for a house that was never built. Mound B is now about 15 feet tall and has a deep cut in the western edge, excavated as a foundation for a house on its summit. Mound C has long been plowed away and is no longer visible. In 1946, professional archaeologists examined the stratigraphy revealed by the basement excavation in Mound A. 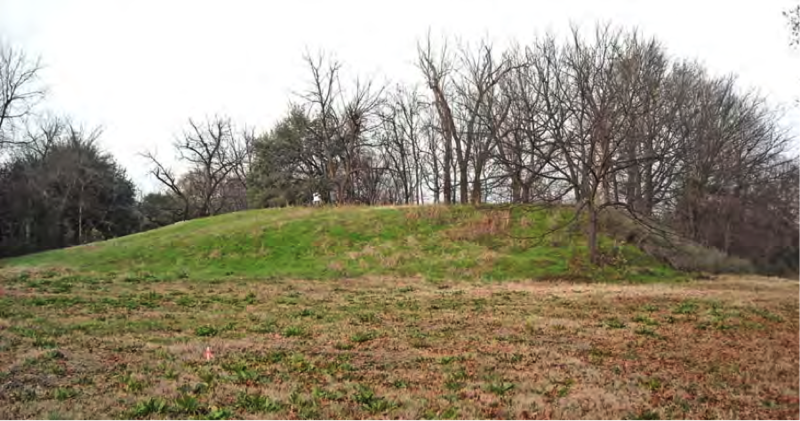 They documented exposed architectural remains associated with several distinct structures, suggesting that Mound A served as a platform for the houses of important Native American leaders. Mound B probably served as a burial mound, as the landowner reported that he had encountered burials and pottery during the construction of his house on top of Mound B. Pottery and other artifacts suggested to the archaeologists that the mounds were constructed during the Late Mississippi Period, ca. AD 1350-1600. More recent professional excavations in the area east of Mound A encountered the remains of the Native American village at Rolling Fork, including houses, pits, and trash middens containing household debris. In recognition of its outstanding significance, Rolling Fork was listed on the National Register of Historic Places in 1974.